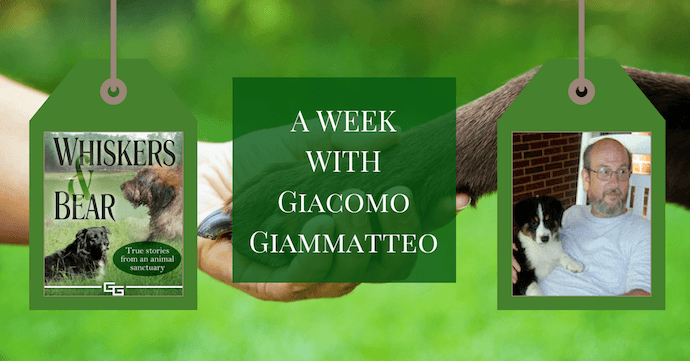 I am thrilled to have had Giacomo Giammatteo, author of Whiskers and Bear, as my special guest on the blog all this week. On Monday, I shared his very open and touching interview. On Wednesday, Giacomo shared a heartwarming guest post about the best ‘investment’ he ever made. 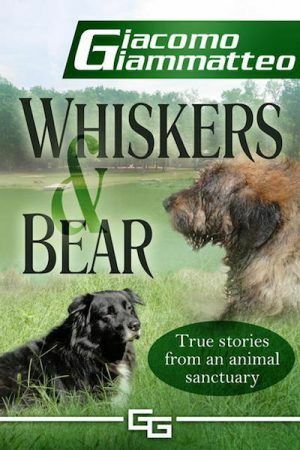 Today – last but not least – we can enjoy a beautiful excerpt from Whiskers and Bear! As well as these feature posts, there is also a $25 Amazon gift card giveaway. You can enter this below and share the feature daily for extra entries. Thank you again to Giacomo Giammatteo for these wonderful posts! Giacomo Giammatteo is the author of gritty crime dramas about murder, mystery, and family. 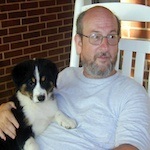 And he also writes nonfiction books including the No Mistakes Careers series as well as books about grammar and publishing. When Giacomo isn’t writing, he’s helping his wife take care of the animals on their sanctuary. At last count they had forty animals—seven dogs, one horse, six cats, and twenty-six pigs.